MSI also confirms Z390 motherboards. Following ASUS and ASRock, MSI have also (indirectly) confirmed Z390 motherboards. No product names were listed, but product codes can be found in MSI software. 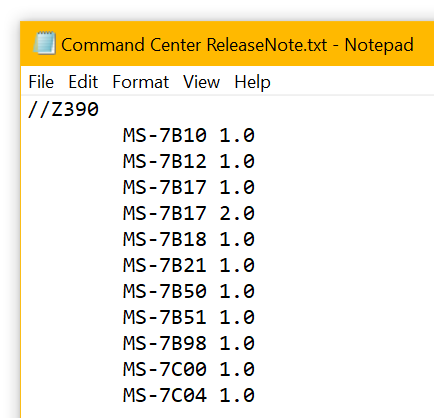 In the most recent Command Center software update at least eleven Z390 models were listed, one even in a second revision. MSI is therefore ready for the big launch of rebranded Z370 chipset (at least that’s what the rumor says), designed specifically with 8-core 9th Gen series in mind. The new motherboards will likely be released shortly before the new Intel CPU series. The latest roadmap mentioned October. Many thanks to Adys301 for the tip!